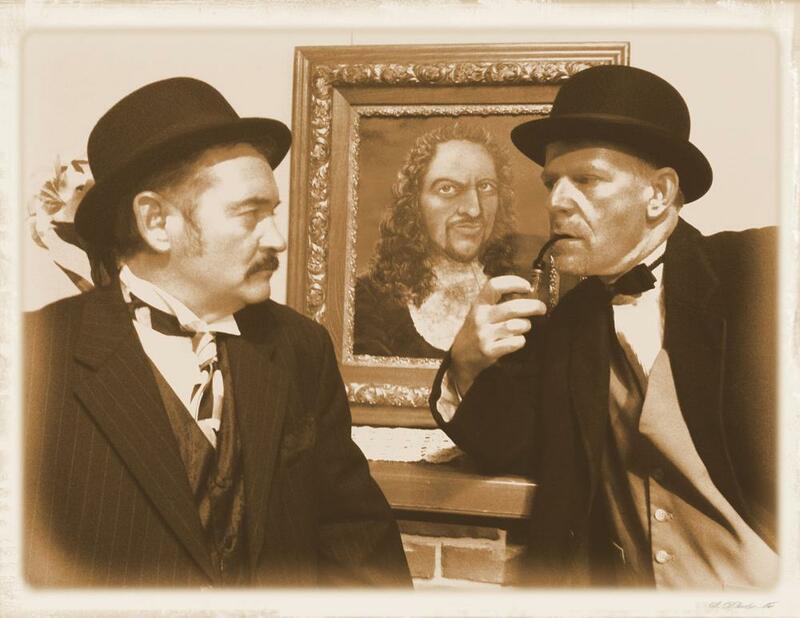 Thursday, atÂ 5:30 p.m. during the farmers' market in Oswego, Sherlock Holmes and Dr. Watson will be on location in full costume and in full character. They will start the riverâ€™s end bookstore, on 19 W Bridge St. They will be there to promote a local play â€œThe Hound of the Baskervilleâ€™sâ€, which will be opening at 8 p.m. Oct 8 in Oswego at the Francis Marion Brown Theater at Fort Ontarioâ€™s Art Center. There is a crate in the display window at the bookstore that is currently holding the â€œbeastly houndâ€ until the performance. Dr. Watson and Mr. Holmes will integrate into the crowd to raise suspicion and hopefully talk to curiosity seekers.